What is Premium Quality E-liquid? With the arrival of e-cigarettes those who wanted to take a break and enjoy the taste of tobacco and the quick uplift from nicotine had a smoke free alternative. While many new users concentrate on the effectiveness of their electronic devices, it’s also important to understand how e-liquid works, and why it is such an exciting replacement for dried tobacco. When those wishing to buy premium e-liquid products come to understand their potential then making selections becomes easier. Those wanting to use e-cigs in Australia are finding these easier to find, but with limited options, knowing if what you are buying is often difficult. This is true for those who want to buy an e-liquid in Australia, and in several other countries. Knowing what’s available through other sources such as buying online is one way to ensure the experience of using vapour rather than smoke is the best one possible. 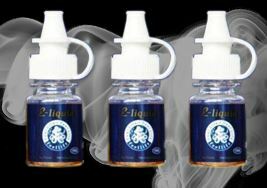 This liquid is called by many names including e-juice, nicotine juice, or smoke juice. The difference between e-liquid and dried tobacco is more than the consistency. Naturally fluid is used much differently than a dried substance. In this case the e-cigarette will heat the liquid to the point of vaporization. The vapour is inhaled rather than smoke, as with tobacco. This is for most people a much more pleasant experience. Gone is the harshness of smoke, as well as the heavy odour produced by smoking tobacco. This form can also prove to be more flavourful and relaxing than smoke. Most of these liquids will contain Propylene Glycol and Vegetable Glycerin. These will give the fluid a density when heated into a vapour and this concentration will hold the flavour. A few brands of dried tobacco and cigarettes offer different flavours. The most common are vanilla, and hickory. As it stands now when the choice is to buy an electronic cigarette in Australia it opens a completely new world of choices. Along with flavours such as mint, cherry and hickory several innovative shops and stores have started to carry lines of gourmet flavour e-liquids. From very tasteful mixtures of cherry tobacco shoppers can find coffee, triple mint, Tahitian punch, cinnamon apple, caramel or for those who want a powerful blend especially strong tobacco taste. Some e-liquids are mixed to taste exactly like best selling brands of dried tobacco cigarettes, while others are designed to taste like cigars. When trying out this new electronic trend, it is a good idea to buy an e-cigarette starter kit. Typically, these will offer the new user of e-cigs the standards to blends, which is a great starting point. Often, as an e-cigarette user becomes develops favourites as far as flavours he or she will decide to branch out and try something different. Some cartridges are re-fillable, but in most cases these are disposable, and trying something new is a simple matter. The used cartridge can be discarded and a new one with an exciting new flavour is then popped into the e-cigarette for a try.